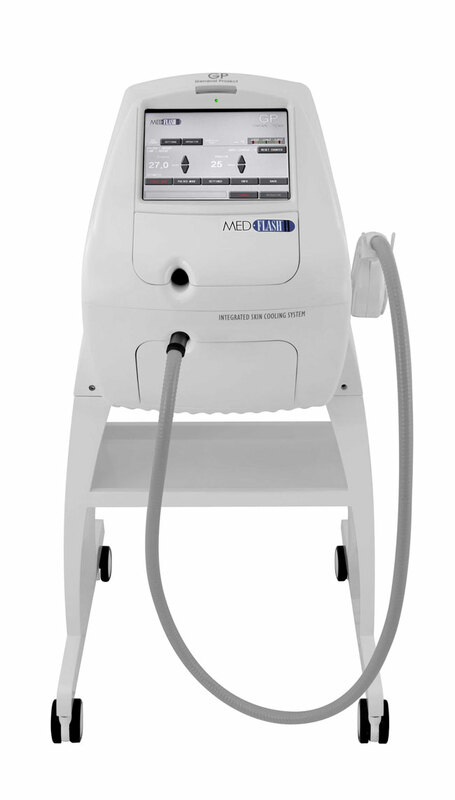 Med Flash II CS is an intense pulsed light device with an integrated cooling system. The device is designed to perform all phototherapy application in an effective and safe manner. Med Flash II CS is equipped with two Interchangeable lamps of different emission and variety of filters. 10.4’’ touch screen color display and advanced software allow to interact easily and intuitively with the device. The device identifies automatically both lamp and filter in use, while giving indications to adapt the treatments to all skin type. Med Flash II CS system combines latest intense pulsed light and fractional technology, which is formed by an intense pulsed light emitting source and a specially designed optical filter (crystal) allowing fractional emission of the light energy through very small points. Fractional IPL technology emits light which is absorbed within the upper part of dermis as well as treating microscopic area of tissue on the skin’s surface, surrounded by healthy tissue to aid in the regeneration process. How Med Flash II CS benefits your practice? How Med Flash II CS benefits your patient? What can you treat with Med Flash II CS?